Product information "IceGlobe Table lamp"
The Iceglobe table lamp was designed by Villa Tosca Design and is produced by Lumen Center Italia. The cragged surface of the round diffusor is, with its bubbles and holes, evocative of the moon's surface. It is also decisive for the fascinating visual effects. The round shape was for the first time engendered by rotation pressing. 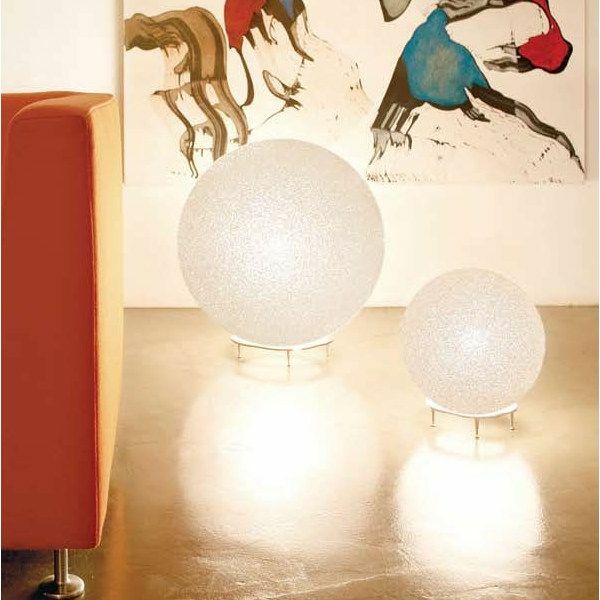 Due to the spherical shape the light is spread all over the room. Dimensions S in inch (WxHxD): Ø11.81" x 12.99"
Dimensions M in inch (WxHxD): Ø17.72" x 18.9"
Dimensions L in inch (WxHxD): Ø22.44" x 23.62"
Dimension in inch XL (BxHxT): Ø30.71" x 31.89"
Related links to "IceGlobe Table lamp"